ATI is a place where people will be able to come to rediscover themselves, to find joy in movement, music and other forms of art or to relax, meet with friends and enjoy the pleasures of the music and dance of tango. In addition to tango dance, music and art, ATI will offer instruction in other dance and art activities such tai chi, as a part of their efforts to promote dance and movement as a means to enhance the human spirit. 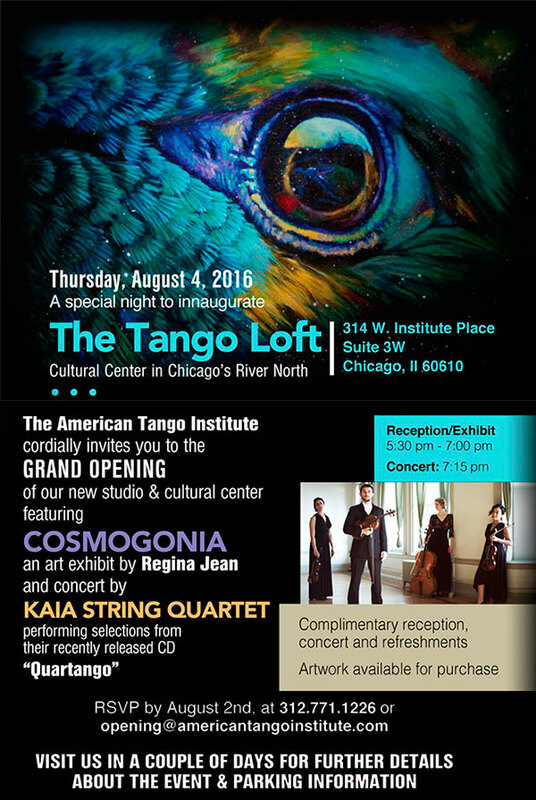 The American Tango Institute wishes to share and strengthen the fascinating universe of tango with audiences throughout the United States. We work with other tango organizers and organizations to support efforts to introduce the tango to our own community and to others around the country. is inspiration, is beauty, is passion, is tango! COME AND ENJOY THE ARGENTINEAN TANGO WITH US AT ATI! © 2016 americantangoinstitute.com. All rights reserved. COME AND ENJOY THE TANGO!